DigiPara will be a part of the the E2 Forum Frankfurt. In this conference Andreas Fleischmann, CEO DigiPara AG, will explain how to reach the perfect R&D BIM workflow in the elevator industry. For this he will talk about todays typical BIM processes and how Engineering to order will be in the future – using DigiPara software. He will also demonstrate how to load any 3D content into an elevator BIM model within DigiPara Liftdesigner 2018 CAD Automation and how to work with different LOD levels. Andreas will explain that CAD models from Creo or Solidworks can easily be loaded into DigiPara Liftdesigner. 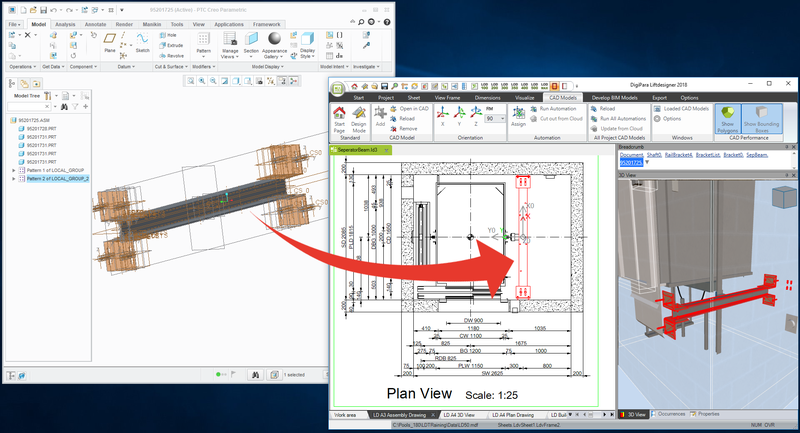 Special developed BIM-LOD features allow to derive LOD 100 to LOD 500 models, almost automatically. In case the elevator design deviates from the standard, ETO (Engineering To Order) is required. 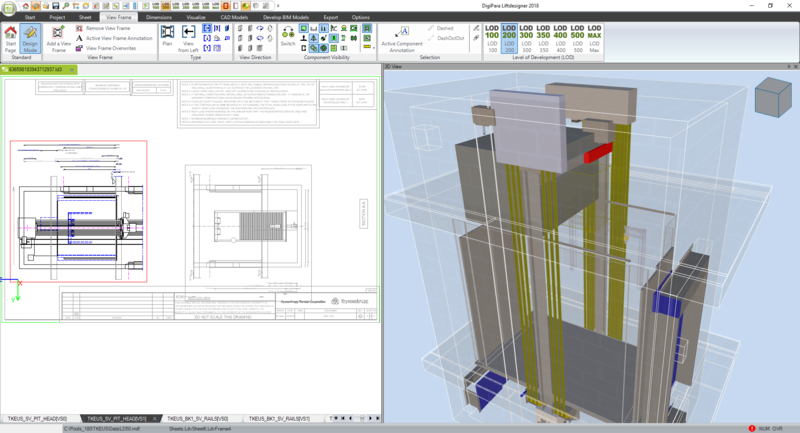 DigiPara Liftdesigner 2018 has got several enhancements to avoid the need for 2D drafting, more or less to avoid AutoCAD use. 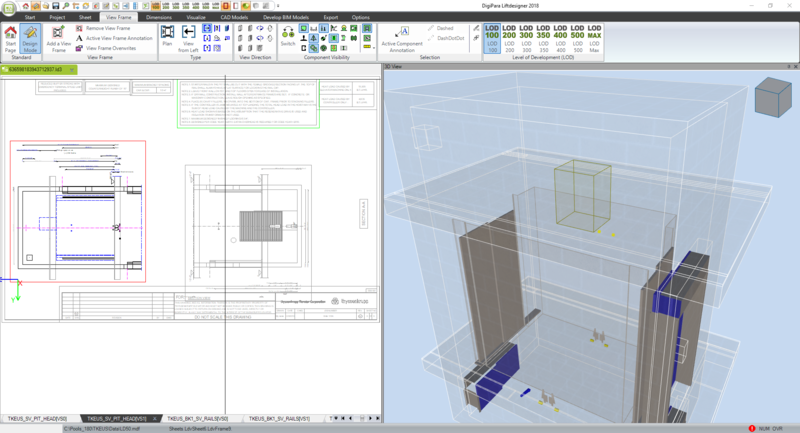 Support for LOD 100 to LOD 500 is one important feature to be “Ready for BIM” in the future. 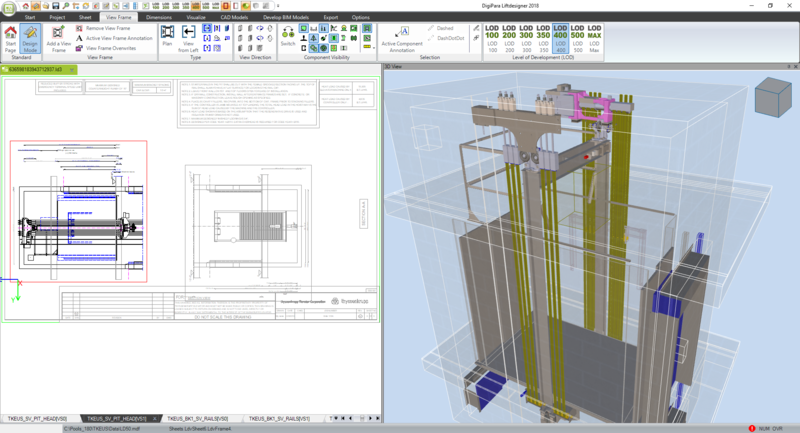 Loading the ETO design into the elevator project makes a complete 3D BIM Model available. Join the E2 Forum Frankfurt! 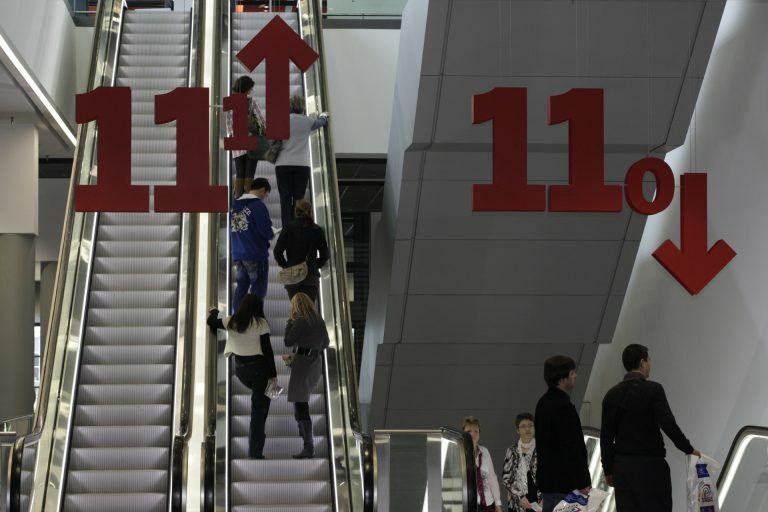 The E2 Forum Frankfurt for elevator and escalator technology provides the industry with a technological and content platform for its dialogue with the planners and operators of modern people-conveyance systems in buildings. This technical conference will be held for the first time on 18 and 19 September 2018 in Frankfurt am Main, exhibition grounds Messe Frankfurt. Enjoy two days of networking at the conference and: elevate your knowledge!